This is David’s matched pair of Performance Hybrid Mini Whips. The PH Minis are the shortest version of the Standard length PH Whips I can make that are still able to do most all of the same types of multiple cracking routines (like the Queensland Crossover, two-handed volleys, etc.) So they’re great for indoor performing, but look out – whips this short and responsive on 12″ handles are crazy fast!!! 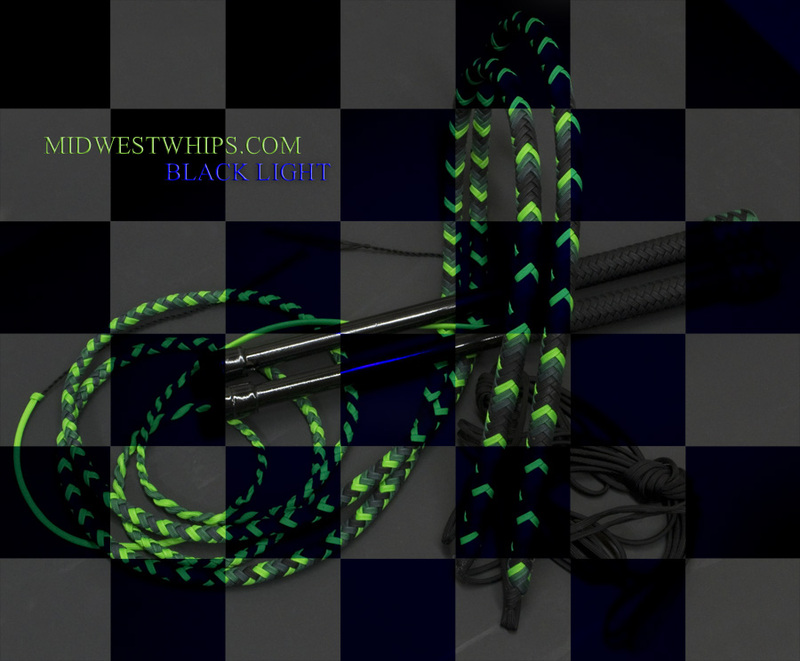 Another Christmas gift, this matched pair of Performance Hybrid Nylon whips arrived in Illinois in time for their big day. Happy holidays to everyone from us here at MidWestWhips! 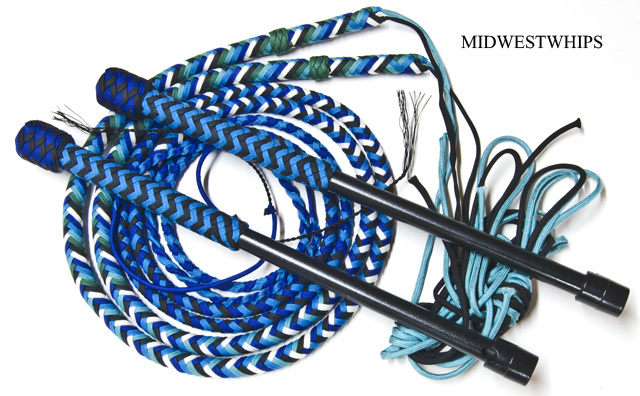 This brand new matched pair Performance Hybrid Nylon Whips was made for David. 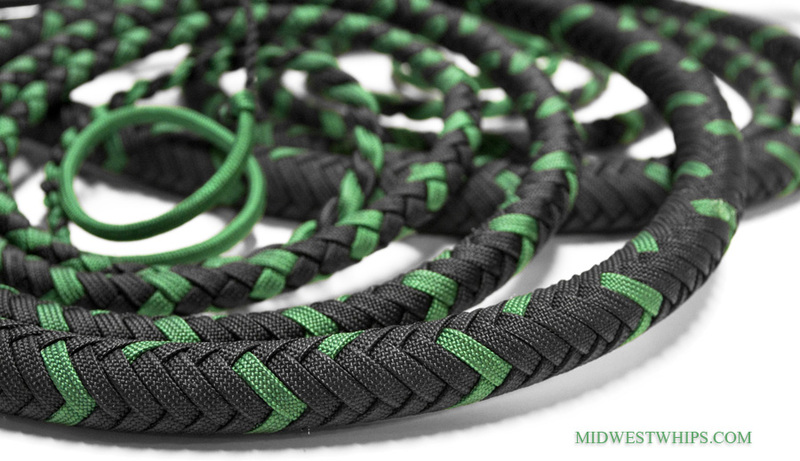 The paracord colors we used to make these whips were Kelly Green and Black. This custom Performance Hybrid Nylon Whip with a two-tone thong was made for Omar in dark brown and kelly green with a dark brown handle base. 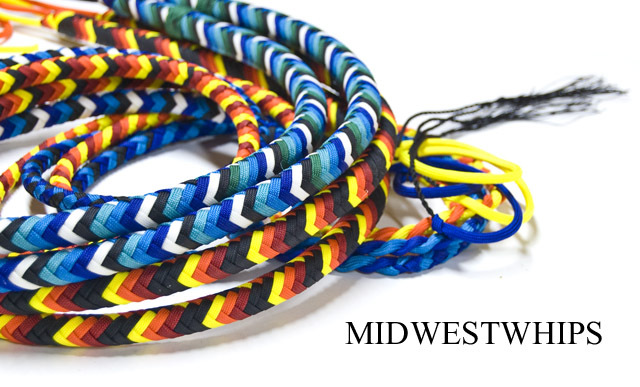 Check out our MidWestWhips Nylon Whips page for more information on Performance Hybrid whips, including how to order and a chart of all available paracord colors.